A septic system is a mini wastewater treatment plant for your home. When you flush a toilet, take a bath or do laundry, all of that water and waste has to go somewhere, and if your home has a septic tank, that is where it goes. Homeowners evaluating septic system companies have contacted Stamie E. Lyttle because of our ability to fix a variety of problems and assist in an emergency. You can count on our experience, quick response, and helpful customer service for any sanitary need. For septic services questions, problems, quotations or emergencies, call us at 804.232.6774 or contact us online. You can think of your septic tank like a holding tank- when you flush your toilet, the liquids and solids run through your sewer line into the septic tank. You can think of your septic tank like a holding tank- when you flush your toilet, the liquids and solids run through your sewer line into the septic tank through what is called the “Inlet-T”. The tank holds all of the water and debris until the solid organic matter is able to fall to the bottom of the tank, leaving just gray water on top. Natural bacteria slowly break down the organic matter that fell to the floor of the septic tank. The water then slowly drains from “Outlet-T” of the septic tank to the distribution box. The distribution box acts as a referee of sorts- it manages how much water gets distributed to the different parts of the “Drainfield” in your yard. 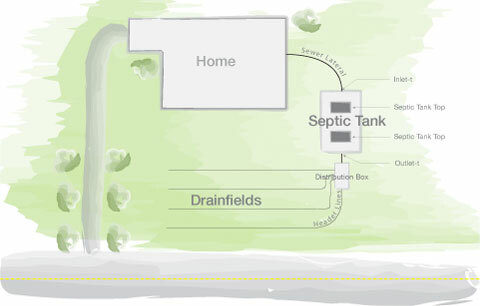 Once the water leaves the distribution box, it is dispersed into your yard through the drainfield. How often should I have my septic tank cleaned or pumped? Over time, unwanted sludge builds up, restricting the growth of septic-feeding bacteria that are good for your system. As a homeowner, it is your responsibility to make sure you keep your septic system in good working order. At minimum, VA State law requires anyone within the Chesapeake Bay Preservation Area (CBPA) to have their septic tank cleaned/pumped every five years. The VA General Assembly enacted the act in 1988. Five years is the maximum amount of time you should allow between cleanings but certain situations, like large families, high water usage or multiple tanks, will require more frequent cleaning. If you have a garbage disposal we recommend having your septic system cleaned every 1-3 years. Find out more about our Septic Tank Cleaning services. Contact us if you are looking for a local, trusted septic company. 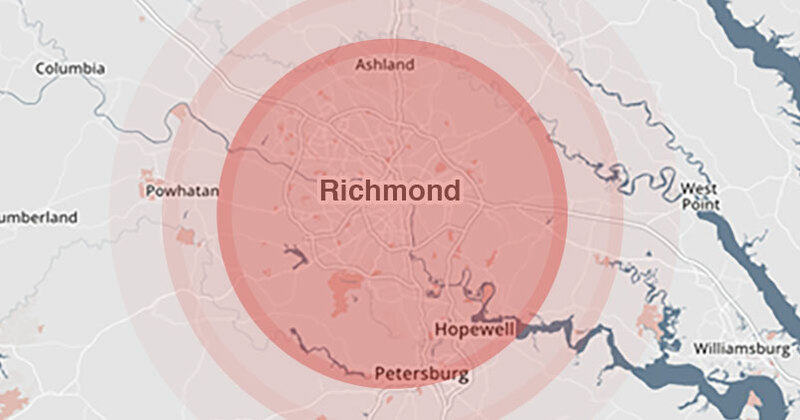 To learn more about our septic tank services in the Richmond area, please call us at 804.232.6774, Monday-Friday, 8am to 4:30pm. For after-hours Emergency Services, please call 804.641.5942.